The Director is the Teacher in charge. Pine Rivers Kindy’s Director is Mrs Ali Bone, who brings with her a wealth of experience. Our Kindergarten’s reputation is built upon the foundation provided by our caring and passionate teaching staff. Several Teachers/Assistant Educators have been with Pine Rivers Kindy for over 20 years now, which is the hall mark of any great organisation. All our Teachers have tertiary qualifications, and all our teaching assistants hold a minimum of a Certificate III qualification. All staff hold a current Senior First Aid and CPR qualifications as well as a Blue Card. 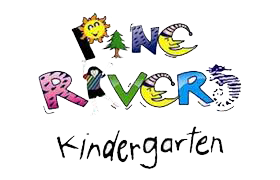 Pine Rivers Kindy operates 2 units containing 22 children with a dedicated Teacher and Teaching Assistant, who guide the children throughout the year. Our high Teacher/child ratio allows Teachers the individual time to spend with your child. In this way, children are able to develop trusting relationships with staff, and friends, while feeling safe and secure within their environment. From time to time an Additional Needs Assistant is employed to help facilitate the inclusion of a child with additional needs into the learning environment. The Additional Needs Assistant works with the Teacher and Educator and may hold a variety of qualifications including an Early Childhood Certificate or Human Services qualification.